See and be seen! Shop Great Lakes Skipper's huge and wide-ranging inventory of new and replacement discount boat and marine lights and lighting parts. 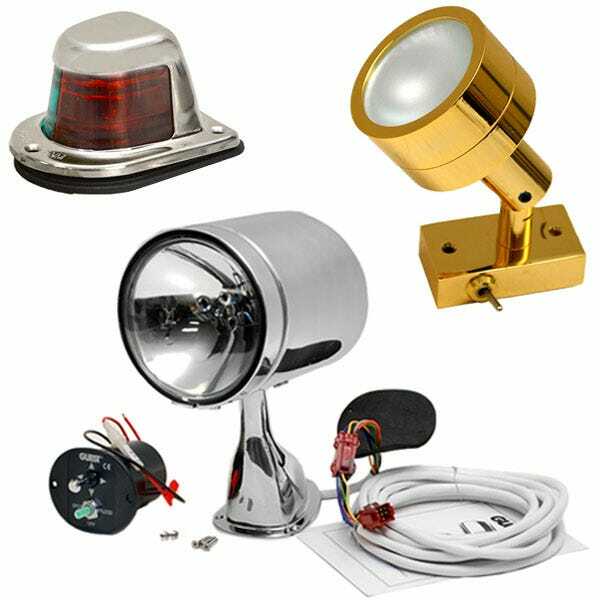 We carry boat bow and stern lights, transom lights, navigation lights, boat light bases, 12V boat lights, exterior dome lights, LED cabin lights and LED boat lighting kits, marine cabin reading lights, deck lights, rope lights, live well lights, fog lights, search lights, and hull lights. Many of our marine boat lights and boat lighting parts work for RVs, off-grid cabins, and tiny houses, too. Don't be left in the dark: browse our site and see how much you can save.